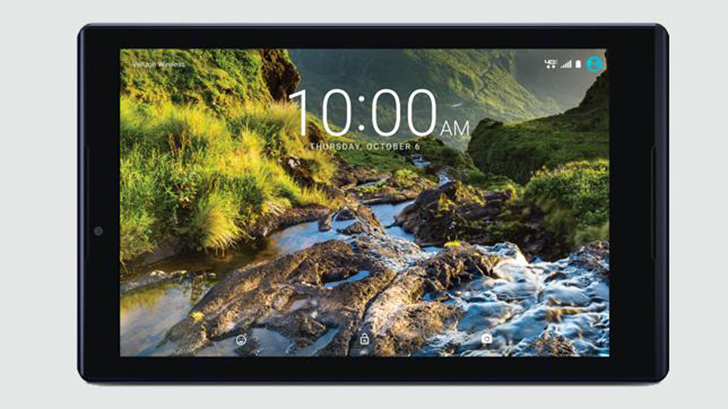 Verizon has been pushing its budget-oriented Ellipsis tablets on the market for a couple years, and they've mostly been throwaway hardware. The latest Ellipsis HD is probably the nicest one, but that doesn't mean it's an amazing tablet. It just appears to be less bad. The Ellipsis 8 HD has an 8-inch 1920x1200 LCD, 3GB of RAM, a 5100mAh battery, 16GB of storage with a microSD card slot, and an octa-core Snapdragon 617. Past Ellipsis tablets have used unnamed quad-core chips (probably MediaTek), but at least this time it's a more capable mid-range Snapdragon part. Verizon insists this is a "high-end" chip, but c'mon. Let's not get carried away. As for the design, it's definitely a black rectangle (produced by ODM Quanta). There's nothing flashy or interesting about it, but that's not why you buy a $250 LTE tablet from Verizon. It's cheap and seems to have alright specs. It runs Android 6.0.1 right now, but don't hold your breath for a Nougat update any time soon. The Ellipsis 8 HD can also be had for $10.41 per month or $99.99 on a 2-year contract.